20 June 1969 was an extremely important day in my life. On that day my revered teacher Sayagyi U Ba Khin appointed me a Vipassana teacher, entrusting me with a great responsibility. In the preceding years he had trained me as his assistant so that I might undertake this responsibility; now the time had come to fulfil it. The next day I was to leave Myanmar (Burma), my birthplace, and set out for India, the land of my ancestors. Vipassana had come to Myanmar from India about 2,500 years before. In its adopted land it had been preserved by an unbroken chain of teachers, down to Sayagyi U Ba Khin. In India, however, the technique had been completely lost and people had even forgotten the name of Vipassana. Now Sayagyi U Ba Khin wished Vipassana to return to India, its country of origin. This would benefit the people of India and also enable Myanmar to repay its debt to India for this liberating technique. It was his strong Dhamma wish that this priceless spiritual teaching should not only return to India but, after becoming established there, spread throughout the world for the welfare of many. I had assured him that I would do my best to fulfil his noble wish. Sayagyi U Ba Khin firmly believed that India would readily accept its lost treasure. He often used to say that many people had been born in India at this time endowed with abundant pāramitā (merits), and that their previous meritorious deeds would naturally draw them to Vipassana. 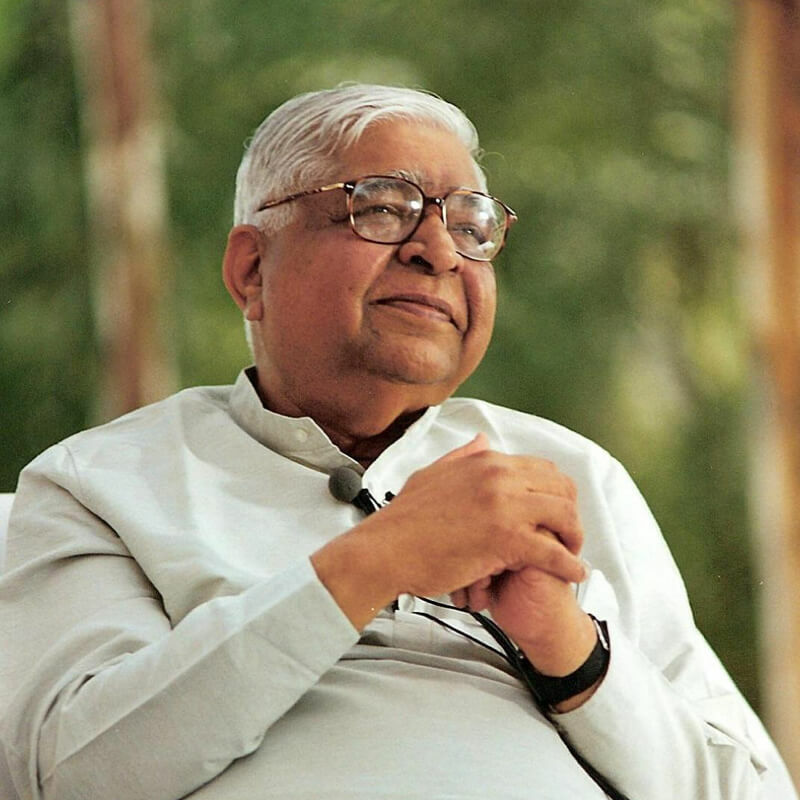 Again and again my teacher’s voice, filled with mettā, would ring in my ears:"The clock of Vipassana has struck. Its revival is bound to come in India and it will happen now." This was the prophecy not only of my teacher but also that of saints thousands of years ago. For me, his blessings and this confident prophecy were like nourishing provisions sustaining me on my journey. In the first days after coming to India, however, I found myself surrounded by difficulties and began to doubt whether I would succeed. Where should a course be held? How would it be organised? Who would organise it? Who would be prepared to leave family and household to spend ten days with me? How few knew me in this country with such a vast population! Closest to me were the members of my own family living in India. I had come with high hopes of help from them, but just before my arrival several of them had become followers of another path, Ananda Marg. I had learned of this even while I was in Myanmar. What I hadn’t known was that those family members had become so extreme in their support for Ananda Marg that they would not even listen to explanations about Vipassana. The possibility seemed remote that they would join a Vipassana course and give the technique a try; and I could not see any possibility of their help in organising a course. At the same time, family members who had earlier come from Myanmar and were Vipassana meditators were feeling dispirited because they had lost everything due to economic changes. I felt sure that none of them could help organise a course. Even more dire was the situation of some other Vipassana meditators who had recently come from Myanmar. My mother faced her own dilemma. A Vipassana course was to be organised for her benefit, to enable her to free herself from mental distress. It was specifically for this purpose that I had come to India and for which the Burmese government had taken the then-unprecedented step of granting me a passport. After my arrival in India, my mother would frequently sit with me and meditate, and the experience made her eager to join a course if it could be organised. She did not want to disappoint her son who had come all the way from Myanmar, but she also did not wish to anger her other sons in India who followed the Ananda Marg path. In a very sad voice she would say, "You will have to see how I can sit the course." The atmosphere was filled with disappointment and frustration. I thought that I would have to return to Myanmar without success. 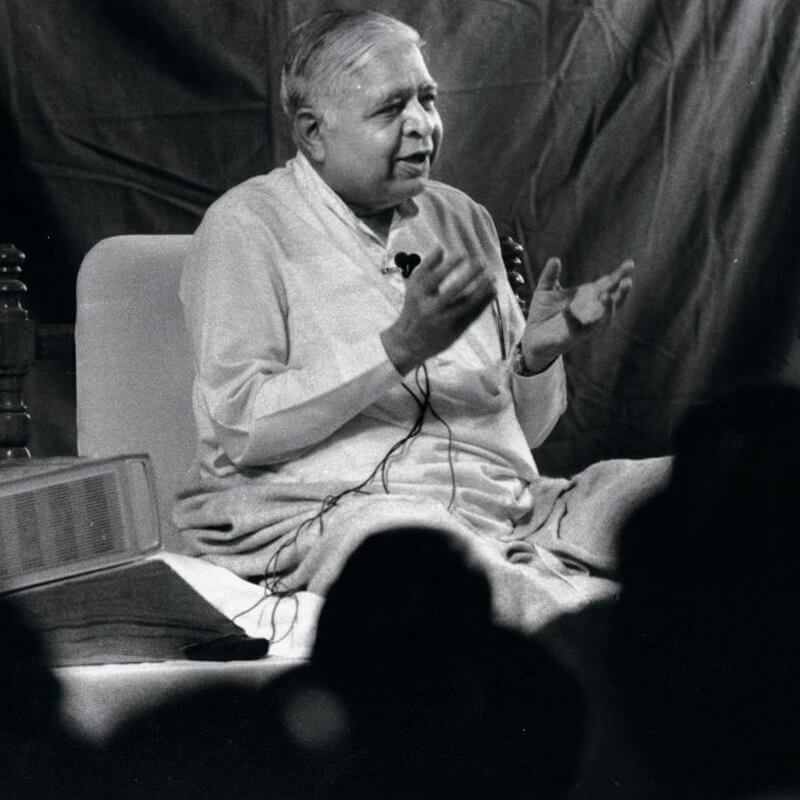 Despite my teacher’s confident prediction, a cloud of despair had cast its shadow; and although I thought that the clock of Vipassana had struck, it seemed the work of its revival would have to be done by other, fitter hands. Sometimes, even in this unhappy atmosphere, there would be a ray of hope. Sayagyi had said that on my arrival in India, nature would give a sign of my future success. I travelled by air from Yangon (Rangoon) and, as it happened, when I descended from the plane in Calcutta, there was an earth tremor. The next day I read in the newspapers that it had affected a large area of northern India. To me it was as if the country was thrilled to regain the long-lost jewel of the Dhamma. Signs of this kind had occurred in the time of the Buddha. Was this nature’s way of expressing joy at the rebirth of the Buddha’s teaching through the return of Vipassana? However, when I recalled the present difficulties, I felt that perhaps the earthquake had just been a coincidence and that it was senseless to give it importance. I needed to understand and accept the existing situation, which was bleak. Such storms of hope and despair raged in my mind. As the days passed, a sense of despondency became heavier and deeply affected me. One evening I sat to meditate in this frame of mind. The meditation was very strong. Just a short while before its end, I found that dense clouds had gathered inside and there was total darkness in all directions. The atmosphere around was filled with doubts and tension but, when I examined the state of my mind, I found that it was not affected at all. Instead, it was firmly established in equanimity. Suddenly my mind was filled with a strong resolve: "What is to be will be. I am dedicated to Dhamma. Let Dhamma do as Dhamma wishes. If I am a worthy vessel of Dhamma and if I have a sufficient store of previous pāramitā, the darkness will dissipate. If it does not, I shall accept my unworthiness and return to Myanmar after meeting my family and friends." As soon as I made this resolve, I felt strong mettā toward my brothers who were deeply involved in Anand Marg: "May they be happy. May they be successful." My mind was suffused with these emotions. Suddenly the darkness started to dissolve and within a few seconds was gone. In its place a stream of joy arose and enthusiasm started to overflow. No trace of despair remained anywhere. After my meditation, I saw that a young man was waiting to see me: Vijay Adukia, the son of Dayanand Adukia and grandson of Mangalchand Adukia. Mangalchandji was the father-in-law of my younger brother and my associate in social service in Myanmar. He had also done a Vipassana course there. Vijay said, "If you wish to conduct a ten-day course, I shall arrange for a place. A portion of the Pancayatiwadi Dharmashala can be made available. I have already spoken to the management. If you wish, you can come and inspect it." I cheerfully went to the course site but found it totally unsuitable for meditation. Aside from the noise and din of the city, there was filth everywhere. However, to find a vacant place for ten days in a large, densely populated city like Bombay was an impossibility. Therefore, expressing gratitude toward the management of the dharmashala, I immediately gave my acceptance. Now the question was who would join the course. But I was confident that, just as a site had been found, a few people would also be prepared to participate. Vijay himself said with great enthusiasm, "I shall be one of the students. I had wished to take charge of arranging the course but my father can do it. I’ll sit the course instead." My old friend and associate from Myanmar, Kantibhai G. Shah, had come to my home to see me. When he heard about the course he also said with great enthusiasm, "I’ll be a student and our friend B.C. Shah will be another. I’ll bring him along." "Now the course will certainly be held," I said, "even if only two or three people participate." My mother was sitting nearby. Her face, which always used to be so cheerful, looked forlorn. The waves of her sorrow tugged at my mind. When I lay down to sleep at night, her image came before my eyes again and again. I could understand her frame of mind only too well. She was torn between conflicting emotions. On the one hand, her son had come for her sake from far away to conduct a Vipassana course in which she wished to participate. On the other hand, her younger son would feel hurt if she did so. I too was sad. One reason was that the prophecies made long ago appeared to be coming true: after perhaps 2,000 years a Vipassana course was about to be held in India. I had hoped that, by taking part in this historic Dhamma mission and helping to organise it, my entire family in India would share the merits. Now there did not seem to be the slightest possibility that this would happen. Another reason for my sadness was that I wished to repay my debt of gratitude to my parents. In their old age I wished to make the effort to put them on the path of Dhamma. But I could not see any possibility of their joining the course. What could I do? I had only the strength ofmettā to rely on. During that night I sent strong mettā to my parents and brothers. The next day I felt that the entire atmosphere was vibrating with enthusiasm. Early in the morning another old friend from Myanmar, Motilal Chaudhary, and Bharat, the son of Balchand Poddar, came to see me. Both were old students. When they heard about the course they said that they were ready to join it and assured me that they would also ask others to take part. I phoned Madras. Family members who had settled there were delighted when they heard the news about the upcoming course, and three of them decided to come to Bombay to participate. My mother and father were observing all this. I could understand my mother’s difficulties very well, but in the present situation I could not find the courage to say anything to her. And I knew only too well my father’s stubbornness. He had joined Ananda Marg even though he was not greatly influenced by it. While living in Myanmar, he had completed a Vipassana course with Sayagyi U Ba Khin, in which his Anapana had been very powerful. Sayagyi had been very satisfied with him. There was only one difficulty barring him from taking part in the course: he did not wish to give up the performance of his daily religious rituals. I suggested to him that, just as someone else had been found to perform the rituals for him during the course he did in Myanmar, the same arrangement could be made here also. To my pleasant surprise, he accepted my suggestion at once. At this my mother summoned up her courage and said, "If you are going to meditate, I shall also meditate, if not for ten days then at least for five." My happiness was limitless. Here was the chance for me to repay my debt to my parents. 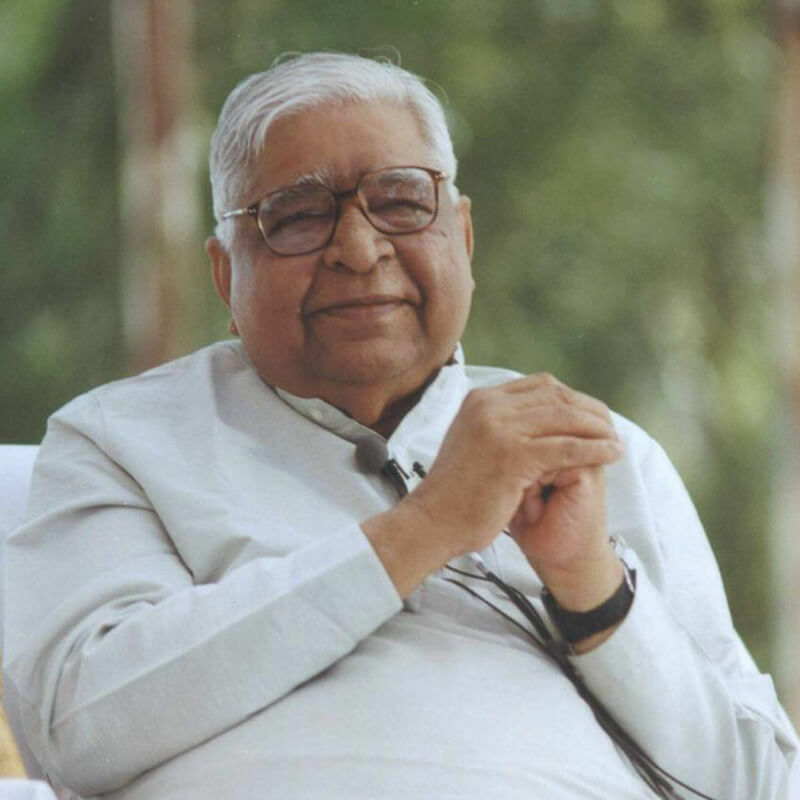 "Who knows," I thought, "the remaining family members who are Ananda Marg followers may experience the benefits of Vipassana at some time in the future, but these two have reached old age; they should sit now." And so it happened. Both parents participated in the first course from July 3 to 13, 1969, along with twelve other students. My mother remained for the full ten days of the course and benefited greatly. I was surprised to see that, although my Ananda Marg brothers did not offer to help on this first course, they did not put any obstacles in the way of this meritorious endeavor, nor did they express any opposition or feel the slightest annoyance. All our apprehensions proved to have been unfounded. My mind was suffused with feelings of gratitude toward them. At the conclusion of the course, I mentally shared the merits of this great Dhamma undertaking and made the Dhamma wish that sooner or later their merits would also bear fruit, so that they may also taste the nectar of Vipassana and be happy. These difficulties were only for the first course. Immediately afterwards, students who had taken part and experienced the benefits began to organise and to serve courses, one after another. Thus, after 2,000 years, the pure stream of Dhamma again began to flow in India. Since 1969 it has swelled into a mighty river, bringing happiness to people in India and around the world. The doors of liberation were opened for many, allowing them to realise true happiness. May the Dhamma-Ganges of Vipassana gain more and more strength, and continue to benefit people throughout the world.